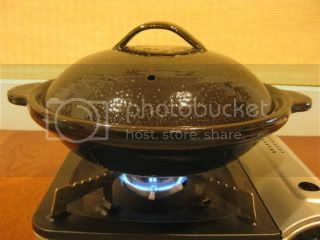 I've been doing a lot of "nabemono" (hot pot) dishes lately. 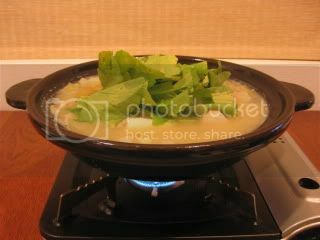 Salmon hot pot in miso broth is called "Ishikari nabe". 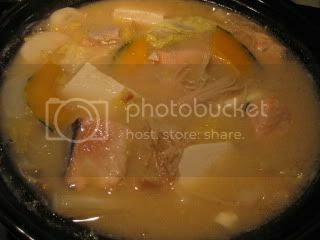 I did it with miso & sake-kasu (sake lees) broth. 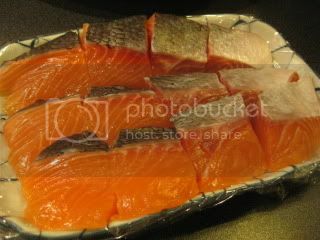 Salmon and lots of vegetables in my Kyoto-style shallow donabe, "Kyoto Ame-yu". Really satisfying. My body was so happy after the meal.